This article is about the year 1957. The Saarland joins West Germany. An Irish Republican Army attack on the Brookeborough police barracks in Northern Ireland leads to the deaths of Seán South and Fergal O'Hanlon. Italian conductor Arturo Toscanini suffers the stroke that leads to his death a little over two weeks later in the United States. January 2 – The San Francisco and Los Angeles stock exchanges merge to form the Pacific Coast Stock Exchange. January 3 – Hamilton Watch Company introduces the first electric watch. January 4 – After 69 years the last issue of Collier's Weekly magazine is published in the United States. January 5 – Russell Endean becomes the first batsman to be dismissed for having handled the ball in Test cricket. January 6 – Elvis Presley appears on The Ed Sullivan Show for the 3rd and final time. He is shown only from the waist up, even during the gospel segment, singing "Peace In The Valley". Ed Sullivan describes Elvis thus: "This is a real decent, fine boy. We've never had a pleasanter experience on our show with a big name than we've had with you. You're thoroughly all right." January 9 – British Prime Minister Anthony Eden resigns. January 10 – Harold Macmillan becomes the Prime Minister of the United Kingdom. January 11 – The African Convention is founded in Dakar. January 13 – Wham-O Company produces the first Frisbee. Kripalu Maharaj is named fifth Jagadguru (world teacher) after giving seven days of speeches before 500 Hindu scholars. American screen actor Humphrey Bogart dies aged 57 in California after a long battle with cancer. January 15 – Release, in Japan, of the film Throne of Blood, Akira Kurosawa's reworking of Macbeth. January 16 – The Cavern Club opens in Liverpool as a jazz club. Dwight D. Eisenhower is privately sworn in for a second term as President of the United States. Israel withdraws from the Sinai Peninsula (captured from Egypt on October 29, 1956). The New York City "Mad Bomber", George P. Metesky, is arrested in Waterbury, Connecticut, and charged with planting more than 30 bombs. January 21 – President Dwight D. Eisenhower is publicly sworn in. January 23 – Ku Klux Klan members force truck driver Willie Edwards to jump off a bridge into the Alabama River; he drowns as a result. January 26 – The Ibirapuera Planetarium (the first in the Southern Hemisphere) is inaugurated in the city of São Paulo, Brazil. January 31 – Three students on a junior high school playground in Pacoima, California, are among the 8 persons killed following a mid-air collision between a Douglas DC-7 airliner and a Northrop F-89 Scorpion fighter jet,in the skies above the San Fernando Valley section of Los Angeles, U.S.
February 2 – President Iskander Mirza of Pakistan lays the foundation-stone of the Guddu Barrage across the Indus River near Sukkur. France prohibits U.N. involvement in Algeria. The first nuclear-powered submarine, USS Nautilus, logs its 60,000th nautical mile, matching the endurance of the fictional Nautilus described in Jules Verne's 1870 novel Twenty Thousand Leagues Under the Sea. It is decommissioned on March 3, 1980. A coal gas explosion at the giant Bishop coal mine in Bishop, Virginia, kills 37 men. February 6 – The Soviet Union announces that Swedish envoy Raoul Wallenberg had died in a Soviet prison "possibly of a heart attack" on July 17, 1947. February 10 – The Confederation of African Football is founded at a meeting in Khartoum. February 15 – Andrei Gromyko becomes foreign minister of the Soviet Union. The "Toddlers' Truce", a controversial television closedown between 6:00 p.m. and 7:00 p.m., is abolished in the United Kingdom. Ingmar Bergman's film The Seventh Seal opens at cinema in Sweden. February 17 – A fire at a home for the elderly in Warrenton, Missouri, kills 72 people. Kenyan rebel leader Dedan Kimathi is executed by the British colonial government. The last person to be executed in New Zealand, Walter James Bolton, is hanged at Mount Eden Prison for poisoning his wife. February 23 – The founding congress of the Senegalese Popular Bloc opens in Dakar. February 25 – The Boy In The Box is discovered along a sidewalk in Philadelphia, Pennsylvania. The murder victim is described as Caucasian in appearance and 4 to 6 years old; the case is never solved. February 28 – Gaston, a French comic strip, is introduced. U Nu becomes Prime Minister of Burma. Arturo Lezama becomes President of the National Council of Government of Uruguay. Sud Aviation forms from a merger between SNCASE (Société Nationale de Constructions Aéronautiques du Sud Est) and SNCASO (Société Nationale de Constructions Aéronautiques du Sud Ouest). Dr. Seuss' The Cat in the Hat is published in the United States. March 3 – Net als toen sung by Corry Brokken (music by Guus Jansen, lyrics by Willy van Hemert) wins the Eurovision Song Contest 1957 (held at Frankfurt) for the Netherlands. March 4 – Standard & Poor's first publishes the S&P 500 Index in the United States. 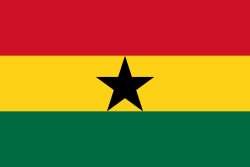 United Kingdom colonies Gold Coast and British Togoland become the independent nation of Ghana. Zodi Ikhia founds the Nigerien Democratic Front (FDN) in Niger. March 7 – The United States Congress approves the Eisenhower Doctrine on assistance to threatened foreign regimes. March 8 – Egypt re-opens the Suez Canal. March 10 – Floodgates of The Dalles Dam are closed, inundating Celilo Falls and ancient Indian fisheries along the Columbia River in Oregon. The United States Federal Bureau of Investigation arrests labor union leader Jimmy Hoffa and charges him with bribery. The Anglo-Jordanian Treaty of 1948 expires. March 14 – President Sukarno declares martial law in Indonesia. March 17 – 1957 Cebu Douglas C-47 crash: Philippine President Ramon Magsaysay and 24 others are killed in a plane crash. March 20 – The French news magazine L'Express reveals that the French army tortures Algerian prisoners. The Treaty of Rome (Patto di Roma) establishes the European Economic Community (EEC; predecessor of the European Union) between Italy, France, West Germany, Belgium, the Netherlands and Luxembourg. Copies of Allen Ginsberg's Howl and Other Poems (first published November 1, 1956) printed in England are seized by United States Customs Service officials in San Francisco on the grounds of obscenity. On October 3, in People v. Ferlinghetti, a subsequent prosecution of publisher Lawrence Ferlinghetti, the work is ruled not to be obscene. March 26 – Elvis Presley buys Graceland on 3734 Bellevue Boulevard (Highway 51 South) for $US100,000. He and his family move from the house on 1034 Audubon Drive. March 27 – The 29th Academy Awards ceremony is held in Hollywood. Around the World in 80 Days wins Best Picture. March 31 – Rodgers and Hammerstein's Cinderella, the team's only musical written especially for television, is telecast live and in color by CBS in the United States, starring Julie Andrews in the title role. The production is seen by millions, but this 1957 version is not to be telecast again for more than 40 years, when a kinescope of it is shown. April – IBM sells the first compiler for the Fortran scientific programming language. April 1 – The first new conscripts join the Bundeswehr. April 5 – The Communist Party of India wins the elections in Kerala, making E. M. S. Namboodiripad its first chief minister. April 9 – Egypt reopens the Suez Canal to all shipping. April 12 – The United Kingdom announces that Singapore will gain self-rule on January 1, 1958. The Distant Early Warning Line is handed over by contractors to the U.S. and Canadian military. White Rock secedes from Surrey, British Columbia, following a referendum. April 17 – Suspected English serial killer Dr. John Bodkin Adams is found not guilty of murder at the Old Bailey. April 24 – First broadcast of BBC Television astronomy series The Sky at Night in the United Kingdom, presented by Patrick Moore. This will run with the same presenter until his death in December 2012. April 24–25 – 1957 Fethiye earthquakes on the Mediterranean coast of Turkey. "Die Stem van Suid-Afrika", written by Cornelis Jacobus Langenhoven, becomes the South African national anthem, replacing "God Save the Queen", which is retained as a royal anthem. May 3 – Brooklyn Dodgers owner Walter O'Malley agrees to move the team from Brooklyn, New York, to Los Angeles. Operation Grapple: At Malden Island in the Pacific, Britain tests its first hydrogen bomb, which fails to detonate properly. Stanley Matthews plays his final international game, ending an English record international career of almost 23 years. May 16 – Paul-Henri Spaak becomes the new Secretary General of NATO. May 22 – A 42,000-pound hydrogen bomb accidentally falls from a bomber near Albuquerque. May 24 – Anti-American riots erupt in Taipei, Taiwan. May 30 – Real Madrid beats Fiorentina 2-0 at Santiago Bernabéu Stadium, Madrid to win the 1956–57 European Cup (football). June 1 – Three-year-old thoroughbred Gallant Man wins the Peter Pan Stakes at Belmont Park. June 9 – Broad Peak, on the China-Pakistan border, is first ascended. June 15 – Oklahoma celebrates its semi-centennial statehood. A brand new 1957 Plymouth Belvedere is buried in a time capsule (to be opened 50 years later on June 15, 2007). June 15 – Gallant Man wins the Belmont Stakes at Belmont Park in record time. June 20 – Toru Takemitsu's Requiem for Strings is first performed, by the Tokyo Symphony Orchestra. June 21 – John Diefenbaker becomes the 13th Prime Minister of Canada. June 25 – The United Church of Christ is formed in Cleveland, Ohio, by the merger of the Congregational Christian Churches and the Evangelical and Reformed Church. June 27 – Hurricane Audrey demolishes Cameron, Louisiana, U.S., killing 400 people. The International Geophysical Year begins. The University of Waterloo is founded in Waterloo, Ontario, Canada. Hugh Everett III publishes the first scientifically founded many-worlds interpretation of quantum mechanics. Production of the Citroën Traction Avant automobile, begun in 1934, ceases. July 6 – John Lennon and Paul McCartney first meet as teenagers at a garden fete at St. Peter's Church, Woolton, Liverpool, England, at which Lennon's skiffle group, The Quarrymen, is playing, 3 years before forming The Beatles. July 9 – Elvis Presley's Loving You opens in theaters. July 11 – His Highness Prince Karim Aga Khan IV becomes the 49th Imam of the Shia Ismaili Muslims at age 20. His grandfather Sir Sultan Mohammed Shah Aga Khan III appoints Prince Karim in his will. July 14 – Rawya Ateya takes her seat in the National Assembly of Egypt, thereby becoming the first female parliamentarian in the Arab world. July 16 – United States Marine Major John Glenn flies an F8U supersonic jet from California to New York in 3 hours, 23 minutes and 8 seconds, setting a new transcontinental speed record. July 25 – Tunisia becomes a republic, with Habib Bourguiba its first president. The 6th World Festival of Youth and Students, a high point of the Khrushchev Thaw, kicks off in Moscow. Heavy rains and mudslides at Isahaya, western Kyūshū, Japan, kill 992. A strong earthquake shakes Mexico City and Mexican port city Acapulco. July 29 – The International Atomic Energy Agency is established. August 4 – Juan Manuel Fangio, driving for Maserati, wins the Formula One German Grand Prix, clinching (with 4 wins this season) his record 5th world drivers championship, including his 4th consecutive championship (also a record); these 2 records endure for nearly half a century. August 5 – American Bandstand, a local dance show produced by WFIL-TV in Philadelphia, joins the ABC Television Network. August 21 – U.S. President Dwight D. Eisenhower announces a 2-year suspension of nuclear testing. August 28 – United States Senator Strom Thurmond (D-SC) sets the record for the longest filibuster with his 24-hour, 18-minute speech railing against a civil rights bill. August 31 – The Federation of Malaya gains independence from the United Kingdom, subsequently celebrated as Malaysia's National Day. Abdul Rahman of Negeri Sembilan, Yang di-Pertuan Besar of Negeri Sembilan becomes the first Yang di-Pertuan Agong of Malaya. The country's new Constitution came into force on August 27. The Alliance Party and its successor are the ruling coalition until 2018. September 1 – 175 die in Jamaica's worst railway disaster. September 3 – The Wolfenden report on homosexuality is published in the United Kingdom. Civil rights movement: Little Rock Crisis – Governor Orval Faubus of Arkansas calls out the National Guard of the United States to prevent African-American students from enrolling in Little Rock Central High School. The Ford Motor Company introduces the Edsel on what the company proclaims as "E Day". September 5 – The first edition of Jack Kerouac's novel On the Road goes on sale in the United States. September 7 – NBC introduces an animated version of its famous "living color" peacock logo. The Civil Rights Act of 1957 is enacted, establishing the United States Commission on Civil Rights. Catholic Memorial School opens its doors for the first time in Boston, Massachusetts. September 14 – Have Gun – Will Travel premieres on CBS. The sailing ship Pamir sinks off the Azores in a hurricane. Perry Mason premiers on CBS. September 23 – The Academy Award-winning movie The Three Faces of Eve is released. U.S. President Dwight D. Eisenhower sends federal troops to Arkansas to provide safe passage into Little Rock Central High School for the "Little Rock Nine". Camp Nou, home-stadium of FC Barcelona, officially opened in Barcelona, Spain. September 26 – Leonard Bernstein's musical West Side Story makes its first appearance on Broadway and runs for 732 performances. September 29 – The Kyshtym disaster occurs at the Mayak nuclear reprocessing plant in Russia. Which? magazine is first published by The Consumers' Association in the United Kingdom. The Africanized bee is accidentally released in Brazil. October 2 – David Lean's film The Bridge on the River Kwai opens in the U.K.
Space Age – Sputnik program: The Soviet Union launches Sputnik 1, the first artificial satellite to orbit the earth. The Avro Canada CF-105 Arrow delta wing interceptor aircraft is unveiled. The sitcom Leave It to Beaver premieres on CBS in the United States. October 9 – Neil H. McElroy is sworn in as United States Secretary of Defense. U.S. President Dwight D. Eisenhower apologizes to the finance minister of Ghana, Komla Agbeli Gbedemah, after he is refused service in a Dover, Delaware, restaurant. Windscale fire: Fire at the Windscale nuclear reactor on the north-west coast of England releases radioactive material into the surrounding environment, including iodine-131. Ayn Rand's fourth, last and longest novel, Atlas Shrugged, is published in the United States. The Jodrell Bank radio telescope opens in Cheshire, England. The orbit of the last stage of the R-7 Semyorka rocket (carrying Sputnik I) is first successfully calculated on an IBM 704 computer at the MIT Computation Center as part of Operation Moonwatch, Cambridge, Massachusetts. October 16 – Antônio Vilas Boas, a Brazilian farmer, claims to have been abducted by extraterrestrials; the first famous alien abduction case. Two trains collide in Turkey; 95 die. The U.S. military sustains its first combat fatality in Vietnam, Army Capt. Hank Cramer of the 1st Special Forces Group. October 23 – Morocco begins its invasion of Ifni. October 25 – Mafia boss Albert Anastasia is assassinated in a barber shop, at the Park Sheraton Hotel in New York City. October 27 – Celâl Bayar is re-elected president of Turkey. October 31 – Toyota begins exporting vehicles to the United States, beginning with the Toyota Crown and the Toyota Land Cruiser. The Mackinac Bridge, the world's longest suspension bridge between anchorages at this time, opens in the United States to connect Michigan's two peninsulas. The first (westbound) tube of the Hampton Roads Bridge–Tunnel linking Norfolk and Hampton, Virginia opens at a cost of $44 million. November 3 – Sputnik program: The Soviet Union launches Sputnik 2, with the first animal to orbit the Earth (a dog named Laika) on board; there is no technology available to return it to Earth. November 7 – Cold War: In the United States, the Gaither Report calls for more American missiles and fallout shelters. November 8 – Film Jailhouse Rock opens across the U.S. to reach #3, and Elvis Presley continues to gain more notoriety. Flooding in the Po Valley of Italy leads to flooding also in Venice. November 14 – Apalachin Meeting: American Mafia leaders meet in Apalachin, New York at the house of Joseph Barbara; the meeting is broken up by a curious patrolman. 1957 Aquila Airways Solent crash: A flying boat crash on the Isle of Wight leaves 45 dead. Yugoslavia announces the end of an economic boycott of Francoist Spain (although it does not reinstitute diplomatic relations). Serial killer Edward Gein murders his last victim, Bernice Worden of Plainfield, Wisconsin, U.S.
U.S. President Dwight D. Eisenhower has a stroke. Adnan Menderes of the Democrat Party forms the new government of Turkey (23rd government, last government formed by DP and Menderes). November 30 – Indonesian president Sukarno survives a grenade attack at the Cikini School in Jakarta, but six children are killed. December 1 – In Indonesia, Sukarno announces the nationalization of 246 Dutch businesses. December 4 – The Lewisham rail crash in London leaves 92 dead. December 5 – All 326,000 Dutch nationals are expelled from Indonesia. December 6 – The first U.S. attempt to launch a satellite fails when the Vanguard rocket blows up on the launch pad. December 10 – Canadian diplomat Lester B. Pearson receives the Nobel Peace Prize for his peacekeeping efforts in the United Nations. December 18 – The Bridge on the River Kwai is released in the U.S. It goes on to win the Academy Award for Best Picture. Additional Oscars go to Alec Guinness (Best Actor) and David Lean (Best Director), among others. This is Lean's first Oscar for directing. December 19 – Meredith Willson's classic musical The Music Man, starring Robert Preston, debuts on Broadway. December 20 – The Boeing 707 airliner flies for the first time. December 22 – The CBS afternoon anthology series The Seven Lively Arts presents Tchaikovsky's ballet The Nutcracker on U.S. television for the first time, although heavily abridged. Mao Zedong admits that 800,000 "class enemies" have been summarily liquidated in China between 1949 and 1954. Expected date for Operation Dropshot, an all-out U.S. war with the Soviet Union, triggered by a Soviet takeover of Western Europe, the Near East and parts of Eastern Asia which does not materialize, as prepared for by the United States Department of Defense in 1949. Gruppe SPUR, an artistic collaboration, is founded in Germany. The so-called 'mound of Midas', the Great Tumulus near Gordium, is excavated. Jeh Johnson, American politician, 4th Secretary of Homeland Security. ^ Rehlaender, Jamie L. (April 28, 2015). "A Howl of Free Expression: the 1957 Howl Obscenity Trial and Sexual Liberation". Young Historians Conference. Portland State University. Retrieved September 29, 2015. ^ King, Lydia Hailman (October 3, 2007). "'Howl' obscenity prosecution still echoes 50 years later". Nashville: First Amendment Center. Archived from the original on September 24, 2015. Retrieved September 29, 2015. ^ "Accident Revealed After 29 Years: H-Bomb Fell Near Albuquerque in 1957". Los Angeles Times. August 27, 1986. Retrieved September 29, 2015. ^ "HI Taipei 1957 Riot". Archived from the original on 2009-10-05. Retrieved 2017-02-20. ^ "Toru Takemitsu - Chronology". Schott Music. Archived from the original on February 16, 2013. Retrieved February 1, 2013. ^ "Histoire du Camp Nou | FC Barcelona". FC Barcelona (in French). Retrieved January 21, 2017. ^ "Mr Nazir Ahmed (Hansard)". api.parliament.uk. This page is based on the Wikipedia article 1957; it is used under the Creative Commons Attribution-ShareAlike 3.0 Unported License (CC-BY-SA). You may redistribute it, verbatim or modified, providing that you comply with the terms of the CC-BY-SA.